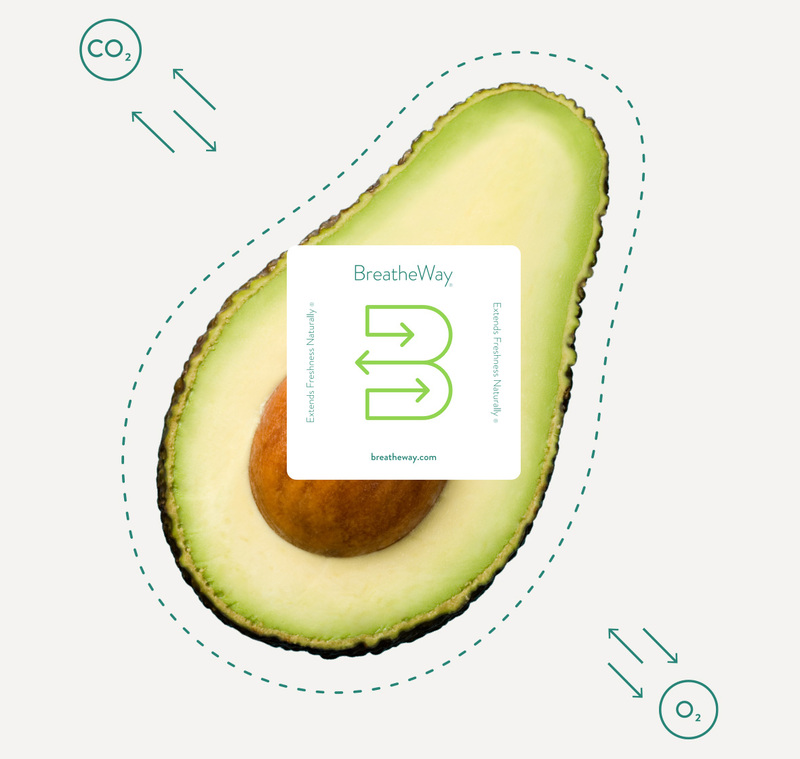 BreatheWay | Increase shelf life. Reduce product waste. At BreatheWay, we know every step from farm to table is important to keep food healthy, and people that eat it, happy. 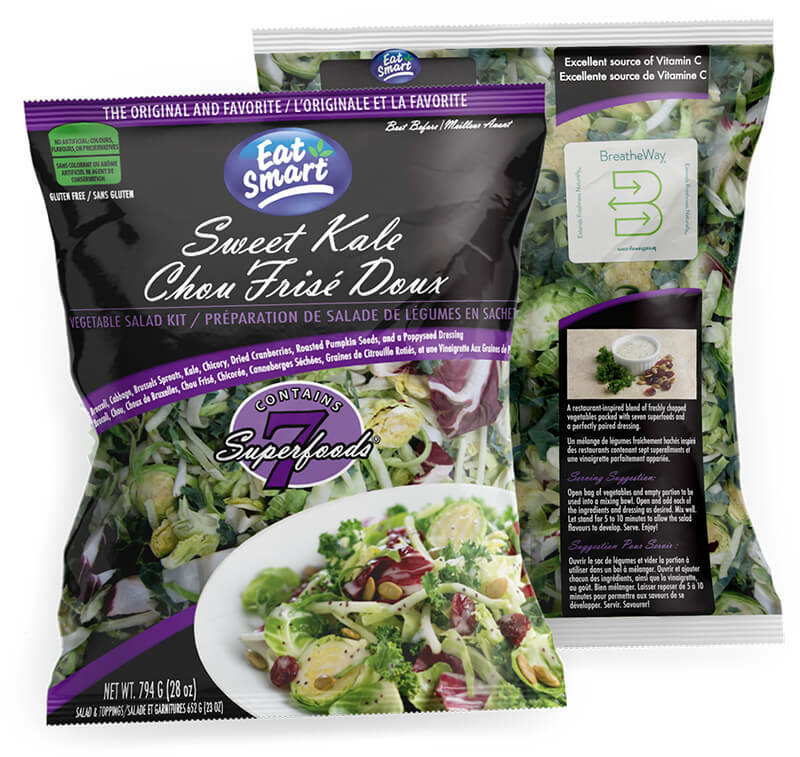 Our BreatheWay® membrane naturally establishes a beneficial atmosphere environment inside the package to ensure freshness during transport to the retail store, at the grocery store, and at home, too. The science behind healthy produce is complicated but BreatheWay is simple. 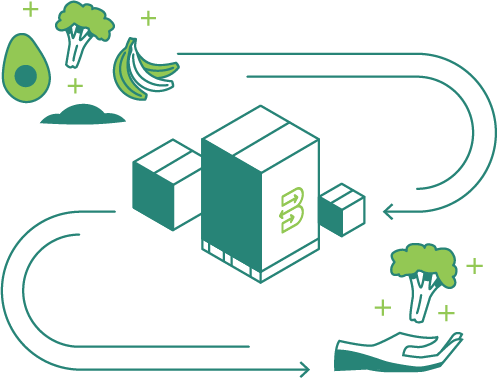 Our experts created a smart technology that works for a wide variety of fresh fruit and vegetables in the supply chain. The membrane adapts to fluctuation in fresh produce respiration and temperature, supporting the most beneficial atmosphere for exceptionally fresh produce. Increase shelf life. Reduce product waste. The BreatheWay design delivers a beneficial natural atmosphere for your product. We may look familiar. That’s because BreatheWay is nationwide in US and Canada at our partner locations like Walmart, Costco, Safeway and Kroger. Look for the little white BreatheWay membrane and know that you can trust it’s fresher, longer. 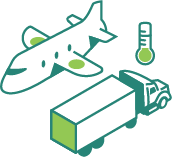 We have a dedicated team that’s committed to helping you create customized, cost-effective packaging solutions. For each fruit and vegetable application and pack size, you get an integrated solution that comes with tailored, high-quality materials.